Boxing is a discipline that’s seemingly invulnerable to ever-changing societal tastes, and remains an enormously popular combat sport all around the world to this day. Sometimes referred to as “the manly art of self-defence”, boxing is the unequivocal king of hand combat sports. 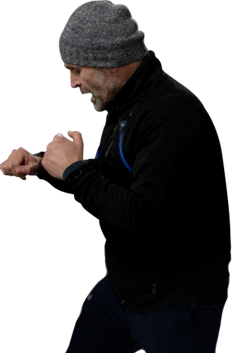 Participants must develop a shrewd sense of timing in order to survive in the ring for several rounds, learning how to successfully strike an opponent and how to shield themselves from an incoming punch. Not only does boxing provide fighters with a sense of renewed confidence and vigour, it’s also a great way for gym newcomers to increase stamina and transform unwanted fat into shredded muscle. At All Powers Gym, would-be boxers are introduced to the fundamentals of the sport (such as the rules, basic moves, strategies, and necessary equipment for conditioning and practice) before being shown the advanced techniques and tactics.